Note: This is a guest post from Enroll Nebraska intern Nathan Klein. Tax season is here and it is important to be informed about forms. (See what I did there?) Here are some quick facts regarding new Health Insurance forms for taxes. Health Coverage form 1095-B is used to report information to the IRS and to taxpayers about people who have minimum essential coverage and therefore are not liable for the fine (which is increasing each year). Learn more about this form here. Employer-Provided Health Insurance Offer and Coverage Insurance Form 1095-C is filed and furnished to any employee of a “large employer” (more than 50 employees) who is a full-time employee for one or more months of the calendar year. 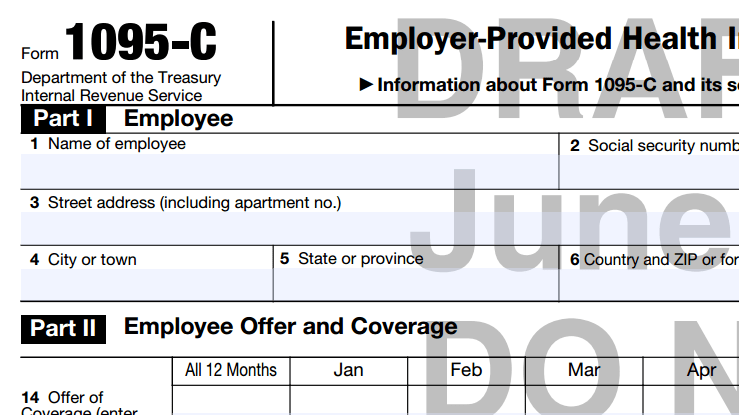 “Large employer” members must report that information for all twelve months of the calendar year for each employee. Learn more about it here. For further tax information, we at Enroll Nebraska recommend seeking advice from tax experts like the IRS or your tax preparer. Also, you may be eligible for free tax return preparation. Follow this link to find out more.